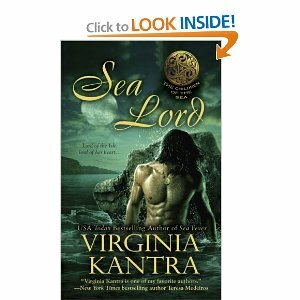 Sea Lord jumps back to the quality of Kantra’s first book in this series, Sea Witch. Writing quality is spot on with a fast and interesting plot. The characters in this one are engaging and fun. I particularly liked her hero here and the ending had an interesting twist. It’s a lot better than Sea Fever, in my opinion. She handled the intricacies of selkie life very well without resorting to the dread over-descriptions or explaining to the point of nausea. Very well done! Very glad I didn’t let a ‘meh’ and ‘bleh’ second book deter me from this one! There are other books in this series: Immortal Sea and Forgotten Sea. If you enjoyed the first three the rest might be interesting to read as well.